I realized I have a TON of Before and Afters ahead of me, so I will keep these next few posts a little more brief! 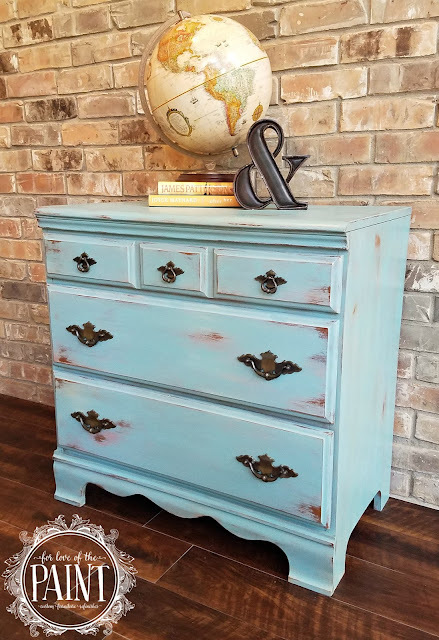 For this layered look shabby chic or modern farmhouse style dresser, I knew that I wanted to try out blending, layering, and distressing several different colors, especially ones I hadn't used in a while! 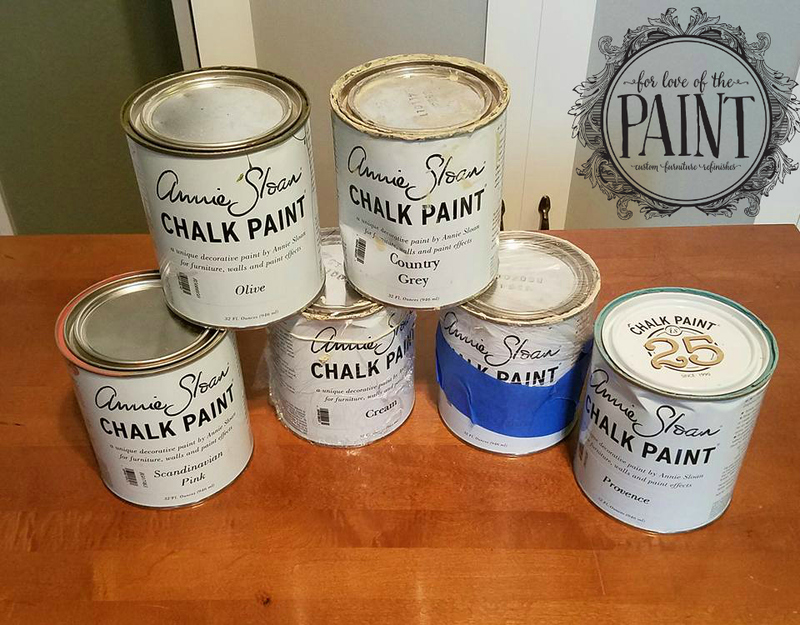 I ended up selecting Annie Sloan Chalk Paints in Olive, Country Grey, Cream, Old Ochre, and Provence. 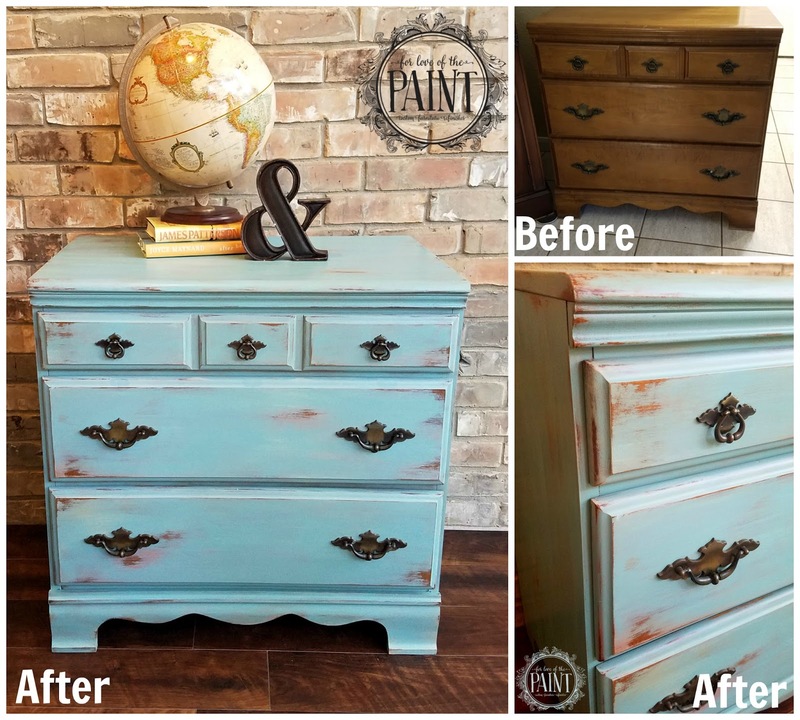 I knew that I wanted to have an overall impact of a fairly solid overall color, so Provence was the main body color. Read on to see how we got this look! For this piece, I put a little of each color onto a plate and let them blend together slightly on my brush. I would sometimes paint a solid area, and sometimes drag through multiple colors at once. 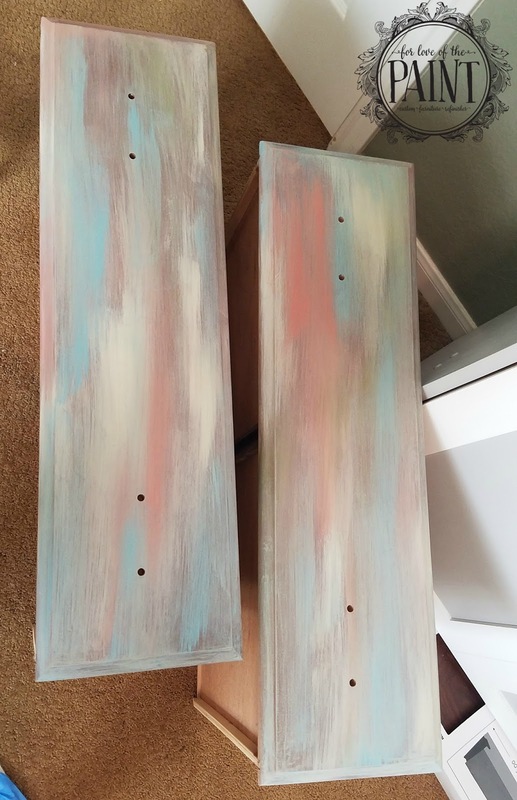 Here is what the first coat looked like - super Southwestern colors! After I had done an overall coat on the whole dresser, I went back over with another layer of color, focusing more heavily on the Provence blue. In some areas I dry brushed a third coat as well. I distressed pretty heavily at the edges, and for some areas wet the area first to get more of a "chippy" look. Because the paint was so complex, I left the original vintage bronze on the hardware to ground and balance the piece. I totally loved the overall effect! What do you think? Do you love super distressed pieces? Subtle edge distressing? Clean and solid? Let me know - I'd love to hear what speaks to you!